This could be my Christmas picture of the season, although some similar ones appeared in Barcelona Photoblog recently. 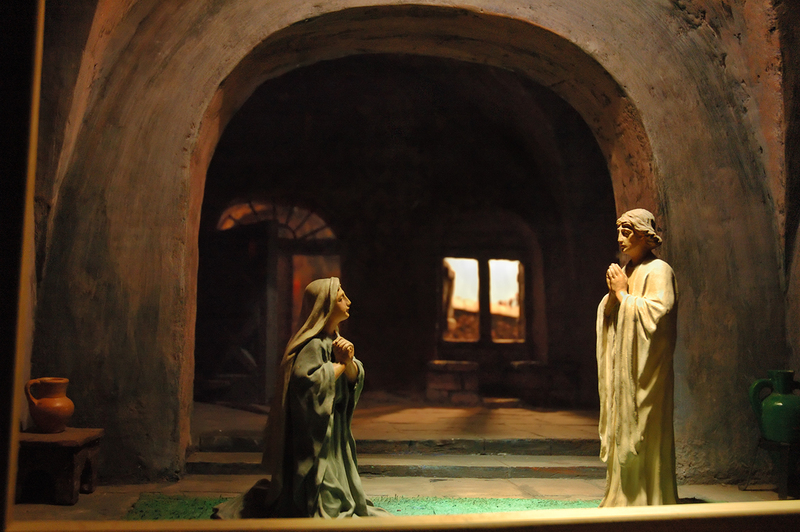 Holy scenes captured in Pedralbes monastery that look more beautiful perhaps than the traditional miniature representations of Jesus in Bethlem that you can find on the streets these days. I mean, they look more solemn and inspiring but of course you may have your own opinion about this musing of mine.